Nigerian cleric and retired Archbishop of the Lagos Diocese of the Roman Catholic Church, Cardinal Anthony Olubunmi Okogie don vex well well, he has called on President Muhammadu Buhari to immediately take action against the Muslim Fulani herdsmen killing Christians in the southern part of Kaduna state. Many Nigerians had been worried about Buhari’s continued silence in the face of attacks and continued killings of residents by the herdsmen. Catholic bishops have also lamented the incessant killings in different areas of the country, noting that such killings are tantamount to a declaration of war on helpless and innocent Nigerians. Archbishop Ignatius Kaigama, the president of the Catholic Bishops’ Conference of Nigeria (CBCN), noted that the level of wanton destruction of lives and properties in the area is at an alarming rate. 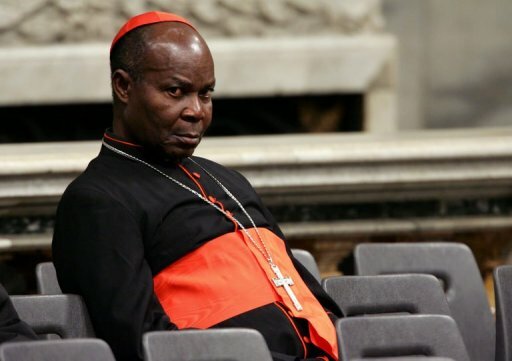 In a report by the Catholic Culture, Cardinal Okogie said President Buhari’s silence could be compared to former President Goodluck Jonathan’s weak initial reaction to terrorist activity by Boko Haram. He accused Mallam Nasir El-Rufai of pampering the attackers and paying a pacifying visit to them when in fact he should have had them arrested.